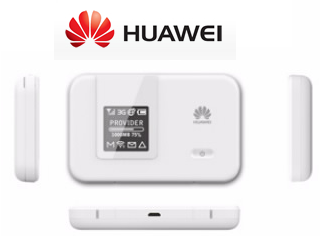 Huawei introduced an LTE Category 4 Mobile WiFi device boasting top download speeds of up to 150 Mbps. The new unit, which measures 99mm x 62.2mm x 14.4mm, offers 2x2 WiFi as well as 5 GHz coverage. The company states a a battery lasting up to 6 hours. It also features an auto offload function that can switch to a secure WiFi connection as soon as one becomes available. "The new HUAWEI E5372 reinforces Huawei’s position as a global LTE industry leader and joins its portfolio of world-class products, as the world’s smallest LTE Cat4 mobile WiFi device," said Mr. Wu Shimin, President of the Mobile Broadband Product Line, Huawei Device. "The E5372 is further evidence of Huawei’s continued commitment to the research and development of LTE technology and its global commercialization."